The Battle at Dombaas on the 14th april 1940 is a quite well known episode during the Norwegian Campaign, and it was one of the first time that Reichsmarschall Görings paratrooper forces (Fallschirmjäger) were used in Battle. 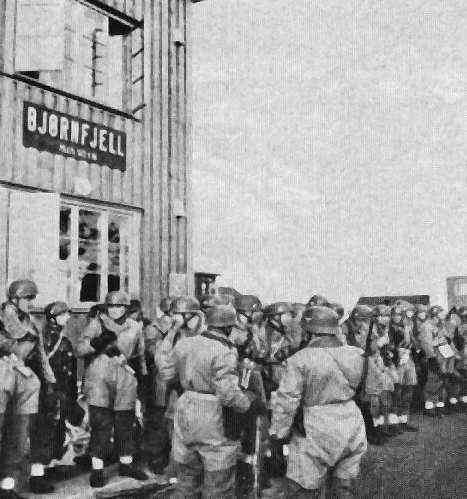 Fallschirmjäger were used for the first time in Norway during the attacks on Sola and Fornebu Airfields. It was only at Sola the Fsch.jg were engaged in a short fire fight with the norwegians. 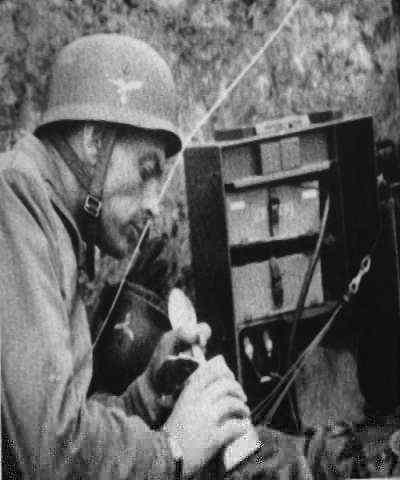 Both operations were considered a success, and the paratroopers were eager to come in combat, believing the war could end without their participation. The German command decided that a unit consisting of paratroopers was to be assigned to the important task of a) sabotaging the railway at Dombaas, and b) block the main road (”Riksvei 50”) between Oslo-Trondheim.This would actually cut Norway in two. The unit which was selected was 1.Kompanie from 1. Fallschirmjägerregiment, and the total strength was 4 officers and 181 nco´s & privates. All were quite young, mostly between 17 – 22 years of age. This unit started on the 12th of april, and left their camp, Heimatstandort Stendal by Magdeburg. With a stop overnight at Schleswig, they arrived at Fornebu / Oslo on the 13th april. The company used 11 Junkers Ju 52´s, and were equipped with 18 Mg 34´s (LMG´s), 4 Mg 34´s on tripods (SMG´s), communication equipment, and containers for the weapons and ammunition. On the evening the 14/4-40 the paratrooper force was air-borne, and started their flight to Dombaas. One of the Ju 52´s was shot down by ground fire at Lillehammer, and had to perform an emergency landing. This aircraft carried some men from the signals platoon. All survived the landing, but were immediately attacked by Norwegian infantry. After a short and intense fire fight, the germans surrendered. The pilot and the jump master was killed, and 13 men were taken as POW's. These were later liberated by Gen. Pellengahrs forces the 24/4-40. * The rest of the force reached the vicinity of Dombaas, and parachuted out. The aircraft carrying a squad from Mössingers unit decided to jump out in a area where, unfortunately for the germans, a Norwegian company had dug in. The Ju 52 was hit by machine gun and rifle fire, and the pilot got killed. Most men got severe wounds before embarking, and some were shot while still in the air. The aircraft crashed, and the weapons container got stuck, so the surviving paratroopers only had pistols for defense against the Norwegians. They surrendered early on the 15th april. Lt Mössinger teamed up with Olt Schmidt at night-time the 14/4, and it was not easy to gather the different platoons and squads in the unfamiliar Norwegian nature since they had jumped out over a rather huge area. Within the first 24 hours, about 120 men were lost, either dead or taken as POW´s. During a sudden encounter with norwegian infantry, at Li, Olt Schmidt got a severe wound from a 6,5 m.m Krag-Jörgensen bullet, and he was partly paralyzed. He did however not give up his command, but in fact Lt Mössinger commanded the remaining paratroopers after this. The Fallschirmjäger force, which had taken positions about 5 km south of Dombaas, were under constant attack by the Norwegians during the evening on the 15th of april. The Norwegians suffered great casualties, and did not manage to overrun the well dug-in paratroopers. Small norwegian combat patrols continued to harass the germans during the night, mostly unsuccessfully. On the 17th april the Germans took new positions, at a farm called Lindsö, and they dug foxholes which still can be seen. They also had 55 Norwegian POW´s, some civilians too. Now the Germans eagerly expected reinforcements, but it never came. The Norwegians brought in mortars and light artillery, and the norwegian commanding officer made it clear that he intended to fight the Germans down, even if it meant killing Norwegian POW´s too. The siege was complete, and it was intense fighting with casualties on both sides. On the 19th april the German force surrendered. Only 34 were not wounded. Olt Schmidt recieved the Knights Cross on the 30/5-40. Most of the paratroopers volunteered to fight in Narvik, and did so – also with great casualties. * Lt Mössinger survived the war, and is today a retired architect. He got his 8th wound while fighting in Berlin 20/4-45, now being a Hauptmann. 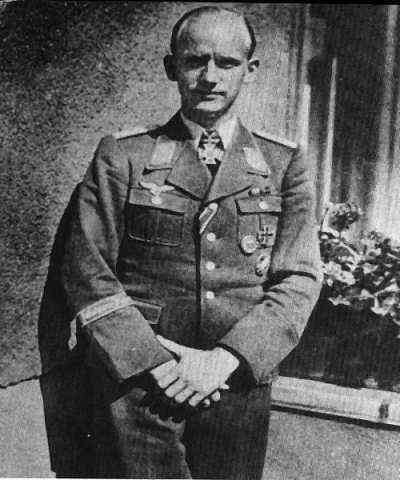 Olt Schmidt, who was killed by french partisans in ´44, wrote a book called ”Die Fallschirmjäger von Dombaas” in 1941.
one of the major contributors to this site.